Xi'an Thiebaut, the aluminium tubes manufacturing joint venture in China, has installed a third production line in its Xi'an plant. 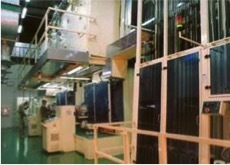 Same as the first two lines, this line is also a state-of-the-art production line from Hinterkopf, the German supplier. This production line will increase the company's yearly capacity with another 30% to 160 million aluminium tubes. 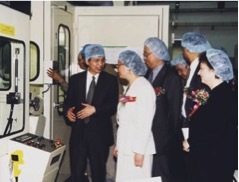 Since its inauguration in 1999, the company has built up a very strong reputation amongst all pharmaceutical multinationals in China, as well as a lot of Chinese pharmaceutical companies. Xi'an Thiebaut is a joint venture between Global Printing (46%), Hanjiang Pharmaceutical (10%) of China and TS Flanders (44%) of Belgium. 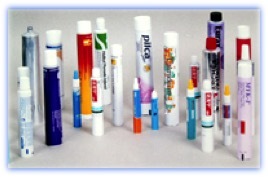 TS Flanders is a holding company set up by Tubes Souples and Horsten International. Bart Horsten is a director of the joint venture, replacing his father after his passing away in June 2008. For more information about Xi'an Thiebaut, please visit www.xian-thiebaut.com.